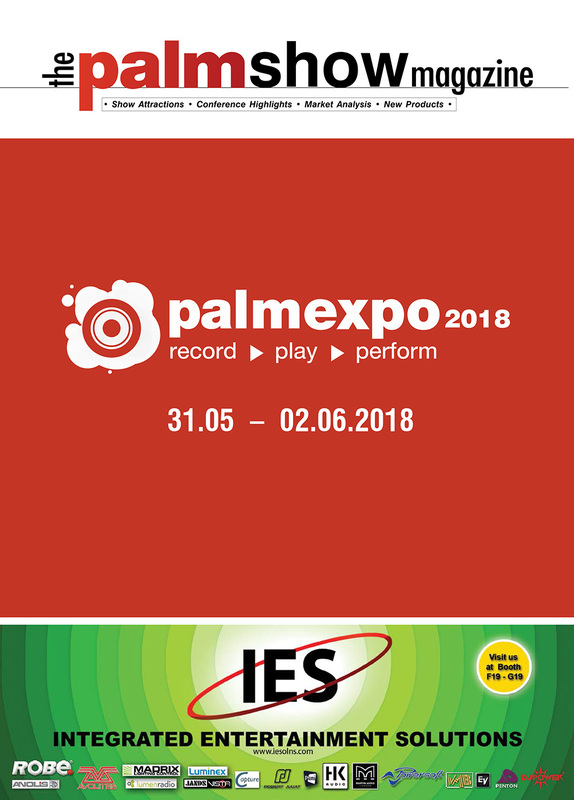 The PALM Expo has been the destination for users of professional audio products and technology ever since its first edition in the year 2001. However, we realised the need for a medium that eased the understanding of visitors with regard to details about the show along with market information and analysis. With this precise motto, the PALM Magazine was launched giving an overview of key exhibits, launches, activities that are not to be missed at the show. While we will address all the above, the magazine will also be a catalyst and give detailed insights of each feature at the Expo. There will also be news on new product launches. 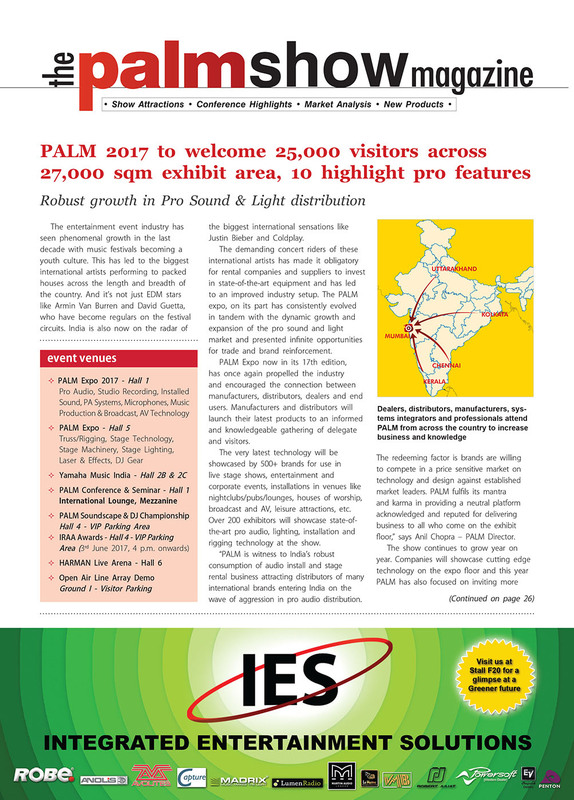 With the magazine being distributed on all three days of the exhibition to all visitors and exhibitors, there will be reportage on all that will be taking place at the PALM Expo – right from the much-awaited performances at the PALM Harman Live Arena as also esteemed PALM Sound & Light Awards and the IRAA Awards. 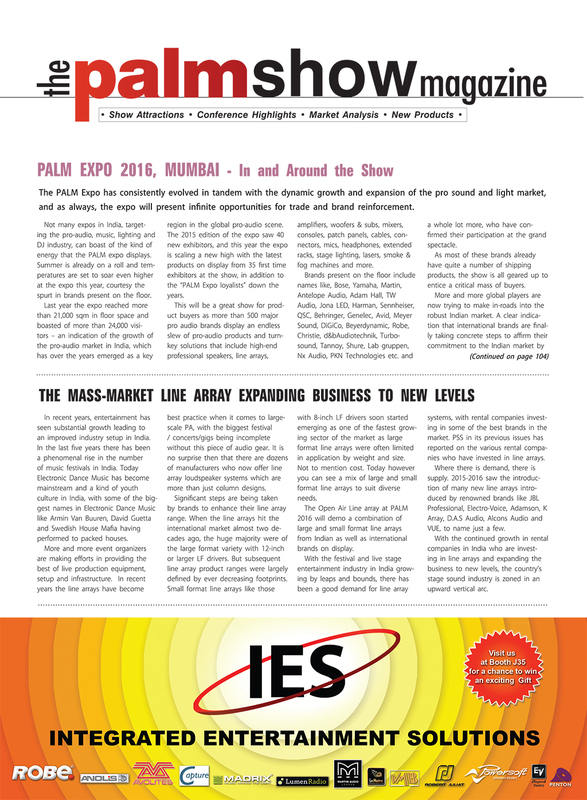 The PALM Magazine, gives visitors, delegates and industry professionals more insight into the latest industry developments and trending issues in the market. The magazine also provides responsible, expeditious and factual company business news, product & technology updates, features & interviews, market reports, industry analysis and more.